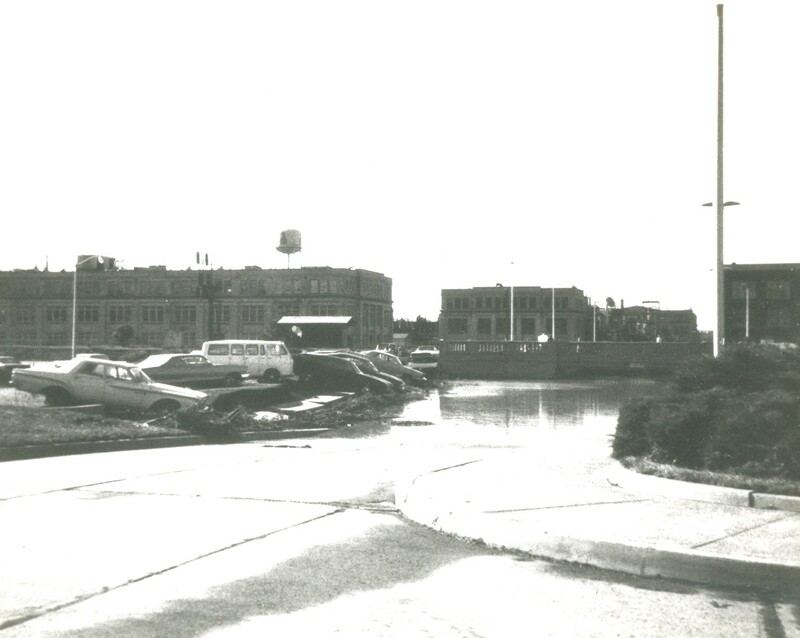 NJT Bridgewater Station- not the first flood it has faced! 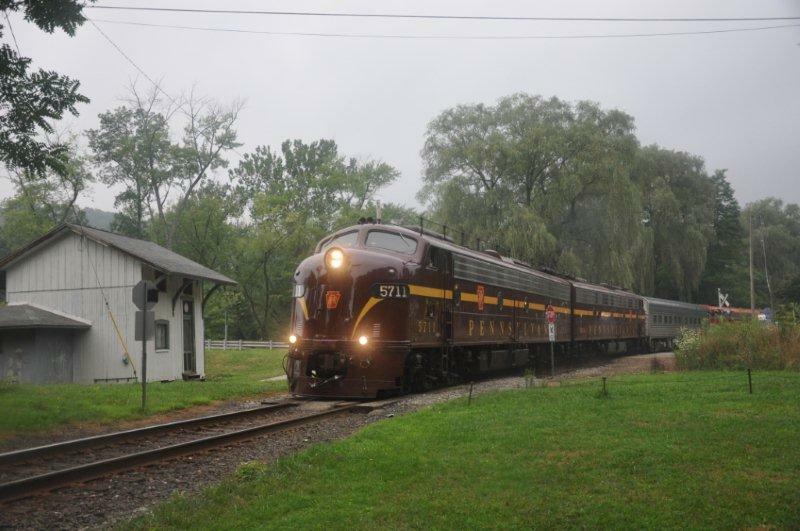 Hurricane Irene is not been the first tropical storm that NJT's Bridgewater (NJ) station has had to endure. It is quite ironic that back on August 27 1971, Bridgewater had to deal with the excessive rains of tropical storm Doria. 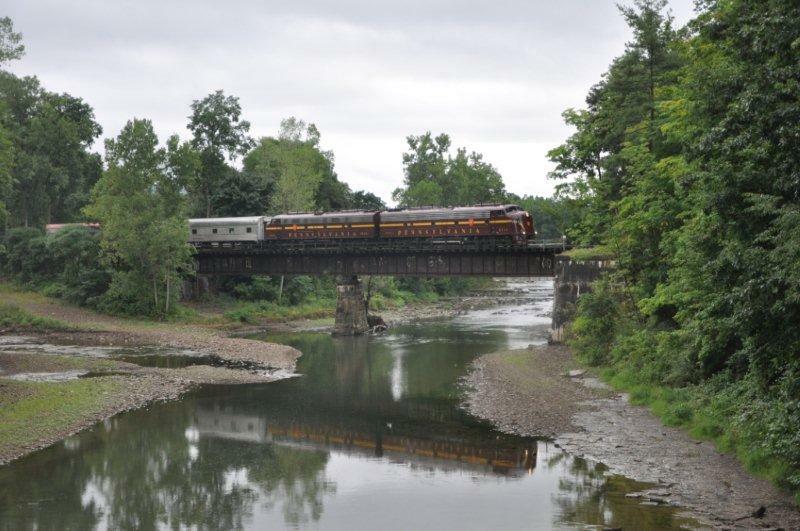 It caused the Raritan River to crest at Bound Brook at a reported peak of 37.47 feet. Needless to say, the damage was excessive. The Bridgewater station, seen as the little shelter off to the left of the bridge, remained standing. 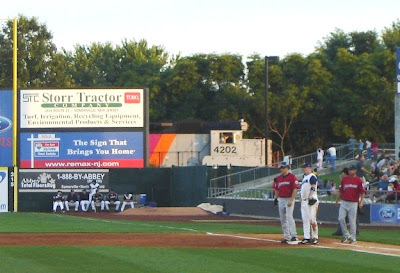 Fast forward to July 2, 2007 when the Lancaster Barnstormers were playing the Somerset Patriots. NJT 4202's engineer catches a glimpse of the game as the passengers disembark at the station located behind the scoreboard. It is now August 28, 2011 and an unknown photographer snaps this image of Hurricane Irene after she left her calling card of flood waters in the stadium. 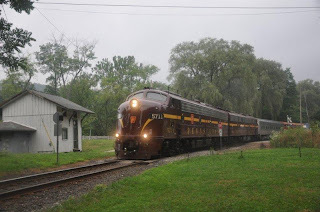 It is quite ironic that almost forty years to the day, Bridgewater's station is dealing with another massive flood. 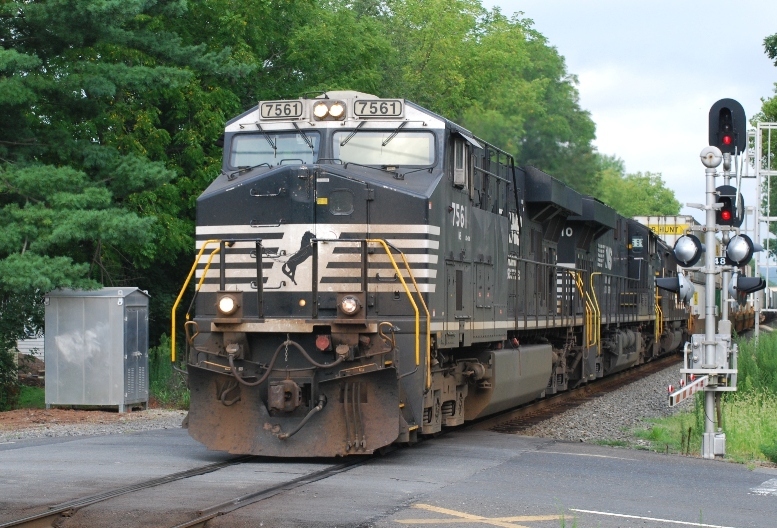 Norfolk Southern continues to make good progress in restoring operations following Hurricane Irene. Operations in North and South Carolina and Virginia have generally returned to normal, with a few areas where power has yet to be restored. 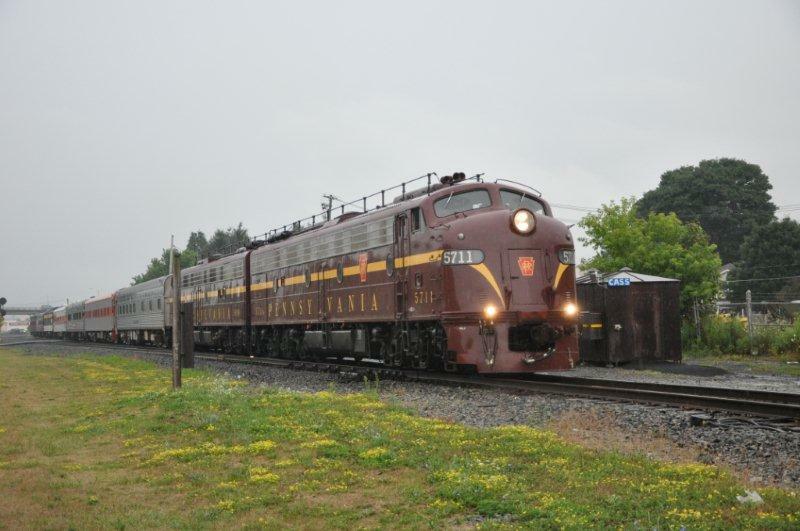 On the Delmarva Peninsula, high water and power outages remain in a few areas around Edgemoor, but trains have begun moving into the area. In the Philadelphia/South Jersey area, normal operations have generally been restored, however, some track areas are still under repair. Flooding along the Raritan River has receded, allowing operation of trains into the North Jersey area. 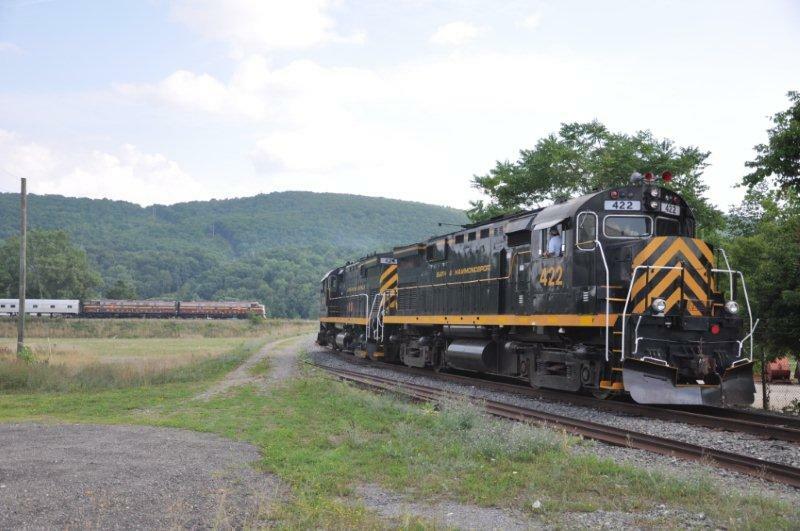 Repair work on washouts continues in the area around Binghamton, New York, impacting Norfolk Southern shipments into areas of New England. 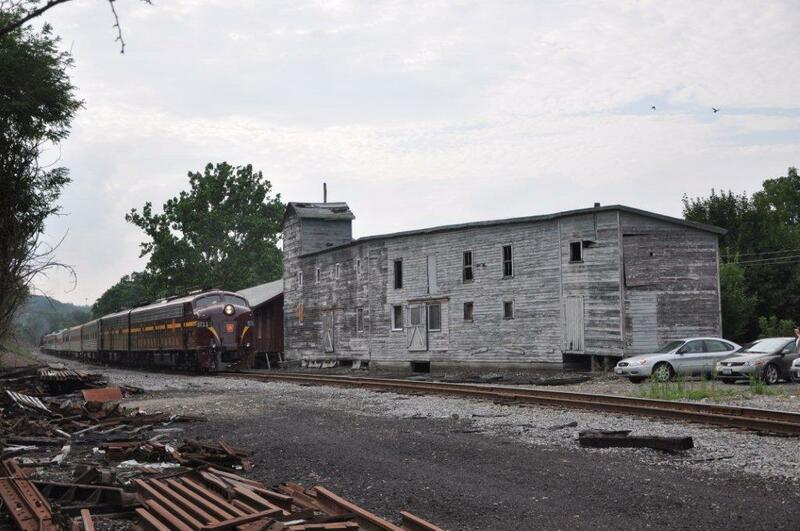 An embargo of some shipments in this area will remain in effect until repairs are completed later this week (Embargo No. 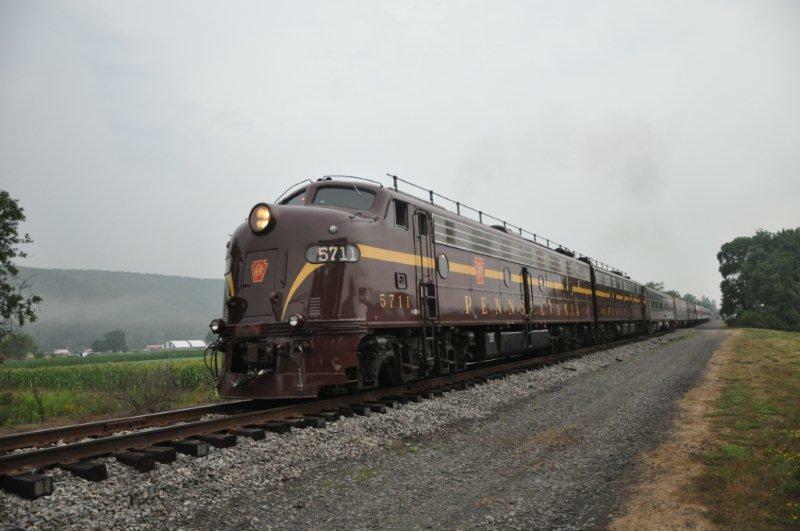 NS000811; information available at https://aarembargo.railinc.com). Customers with shipments moving into these areas should continue to expect delays for the next few days, as the backlog of shipments moves into the area. Updated ETA and routing information is always available through Pacesetter (Norfolk Southern's web based pipeline management tool), and accessNS. CR's Shared Assets LEHL versus Hurricane Irene - No Contest! 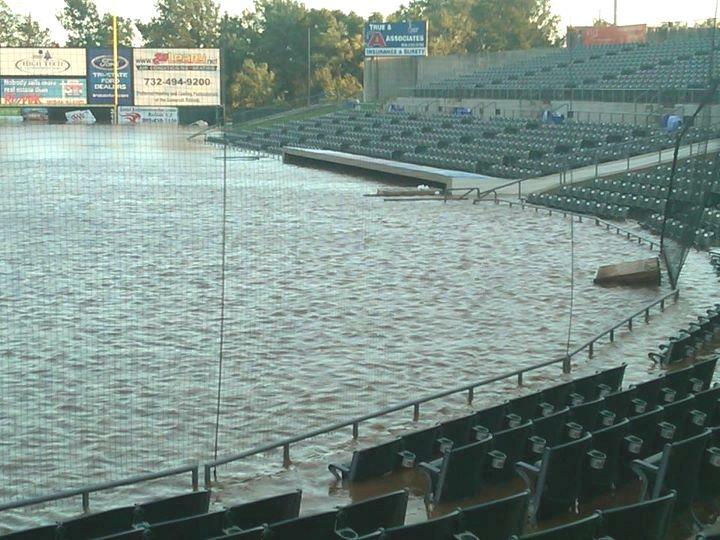 That is what this proved to be when Mother Nature, a/k/a; Hurricane Irene, sent 8 1/2 inches of rain over Central NJ. CR's Shared Assets LEHL came out second best in this bout. 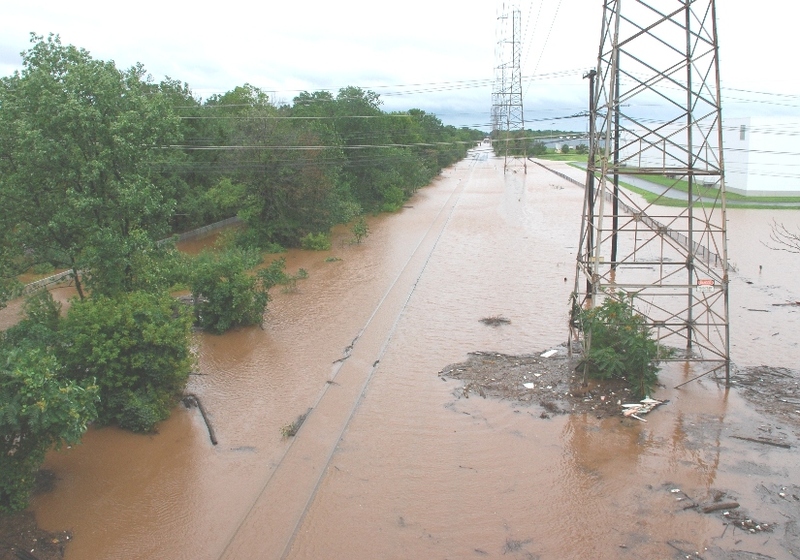 This image, which was taken from the I-287 bridge which spans the LEHL, shows some of the devastation from the swollen waters of the Raritan River. You are looking west towards the waterworks in Bridgewater (NJ). Hope that you were spared from Irene's fury. 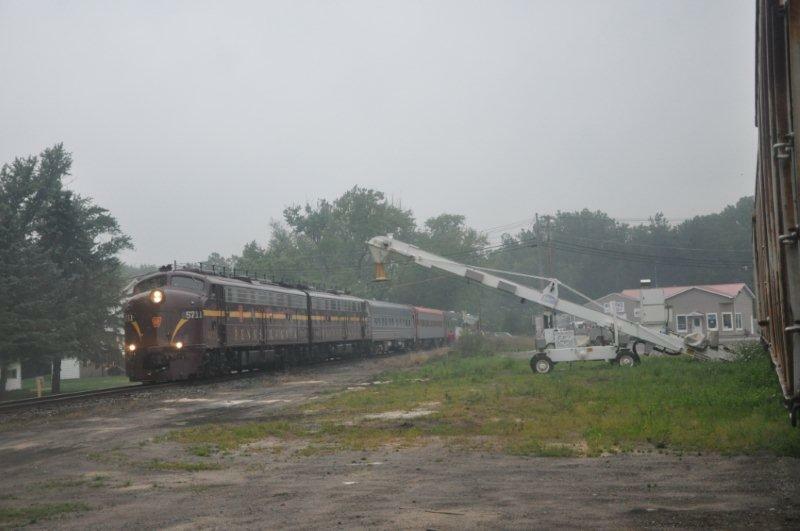 Norfolk Southern operations are being restored following Hurricane Irene. The storm made landfall Saturday morning and impacted operations along the east coast, from the Carloinas northward. As expected, the primary impact on operations has been debris, power outages, and flooding. Mainline operations in North and South Carolina and Virginia are clear. Some areas remain without power. Branch lines are generally clear and awaiting final inspection but should be open later today. 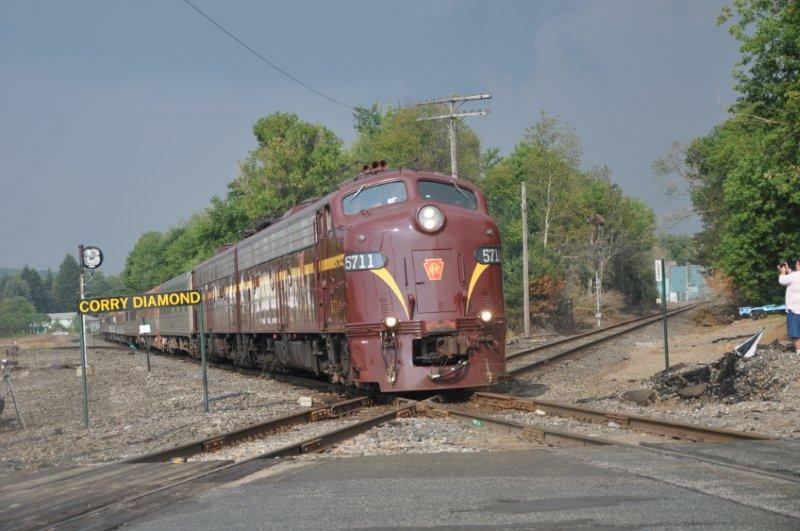 On the Delmarva Peninsula, flooding, particularly in the area around Edgemoor, is impacting operations and in some areas water remains over top of rail. Flooding and power outages are also impacting operations in several areas along the eastern seaboard from Philadelphia and northward. 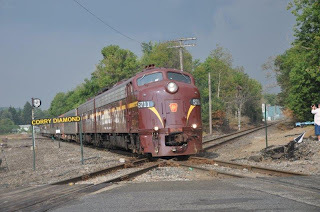 In the Philadelphia/South Jersey area, all main and secondary lines have been inspected and most are clear; some washouts are being repaired. Some flooding problems remain in the vicininty of the Delaware River and power outages remain in several areas. Flooding along the Raritan River is currently precluding access to service areas in the North Jersey area. Restoration of service is largely dependent on how quickly flood waters recede. Customers with shipments moving into these areas should expect delays. 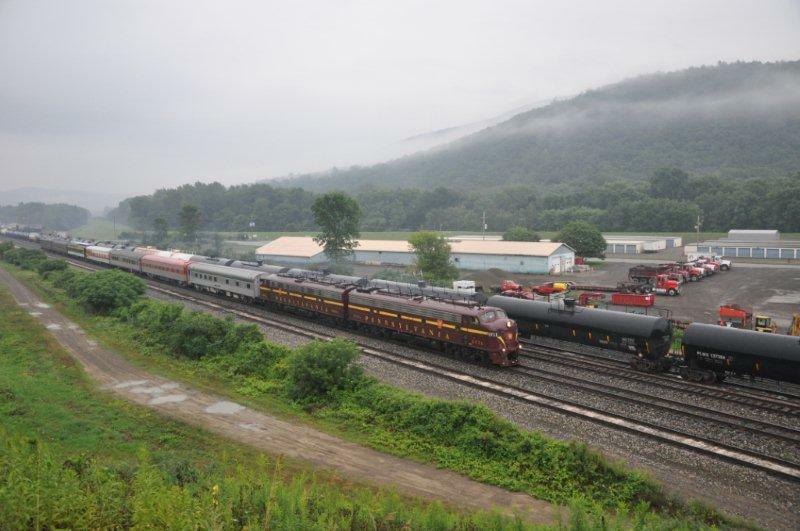 Updated ETA and routing information is always available through Pacesetter (Norfolk Southern's web based pipeline management tool), and accessNS. Hi folks, be sure to mark Nov. 5 on your calender for the L&WV Sentimental Journey Slideshow. 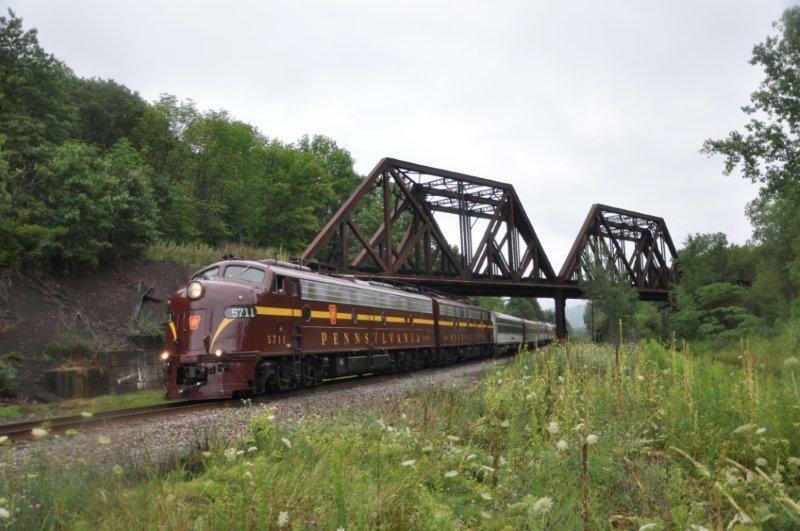 (Lackawanna & Wyoming Valley) This year is going to be another great line-up of presenters highlighting the railroads of Eastern Pennsylvania. Below is the associated information. See you in November! Ticket Price is $20 and includes all-day refreshments (coffee, water, soda), donuts, lunch (pizza, wings, Stromboli and salad), cake-dessert and door prize entries. Your name tag will be your ticket and can be picked up at the door. Door prize donations are being solicited. Please donate that unused dvd, book, or other item. Make checks payable to L&WV Chapter, not Ed! Be sure to include an email address or phone number for confirmation. Directions: I-81S and PATurnpike to Pittston /Wyoming Valley exits. 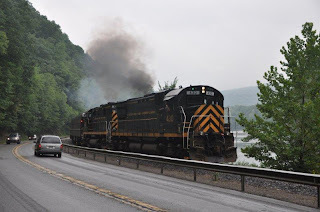 Route 315 south then right onto Oak Street, Pittston Township (From 81N make immediate left onto Oak St.). At the end of Oak St. left onto Pittston Bypass. Immediate right onto Columbus Ave. At light(S. Main St.,Pittston)turn left. Bear right at road fork towards Wilkes-Barre. Make sharp left at City Line Plaza-Tony’s Pizza onto Welsh Street. Make immediate right; firehall is on left. Note: Pittston and Jenkins Twp. are between Wilkes-Barre and Scranton. NORFOLK, VA. - Norfolk Southern Executive Vice President and Chief Marketing Officer Donald W. Seale, and Executive Vice President and Chief Operating Officer Mark D. Manion, will participate in two upcoming transportation conferences. Wednesday, Sept. 7, 2011: Seale will address the Dahlman Rose and Company Global Transportation Conference in New York City at 3:45 p.m. EDT. Interested investors can listen to a simultaneous webcast at http://wsw.com/webcast/dahlman8/nsc/. Thursday, Sept. 8, 2011: Manion will address the Credit Suisse 2011 Automotive & Transportation Conference in New York City at 8 a.m. EDT. Interested investors can listen to a simultaneous webcast at http://cc.talkpoint.com/cred001/090711a_ah/?entity=9_LBYYID6. 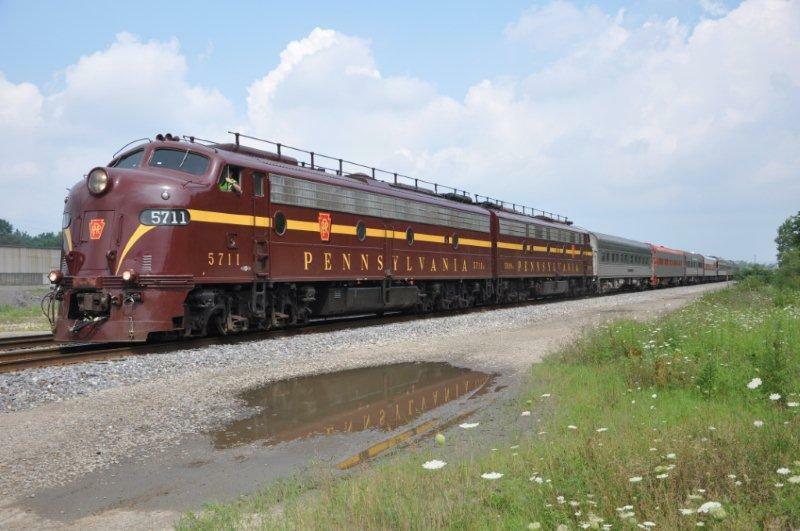 Each of the presentations will be posted at http://www.nscorp.com/. Norfolk Southern is closely monitoring the track of Hurricane Irene. The storm is currently expected to impact operations along the eastern seaboard from the Carolinas and northward over the next few days. As a precautionary step, we are holding shipments moving into this area at inland terminals west of the impacted area. We are also giving priority to shipments currently on hand in the region to move out of the areas expected to be impacted. Material, equipment, and personnel are being staged to move into the area after the storm passes, to address power outages, debris, flooding, and other issues associated with the storm. Local service will be curtailed 24-48 hours in advance of approaching weather conditions as the storm progresses northward. Some train operations in the affected region are likely to be discontinued as conditions warrant. 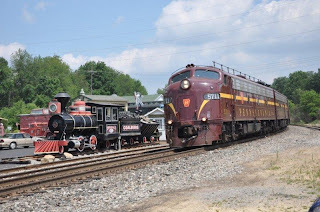 All Aboard: Railroads in New Jersey, 1812-1930 , a major exhibition at the Rutgers University Libraries, will open on Thursday, October 27, 2011. The exhibition, which will be on display at the Special Collections and University Archives Gallery until January 6, 2012, features rare broadsides, pamphlets, and images documenting the history of railroads in the Garden State from Rutgers University Libraries’ collections. 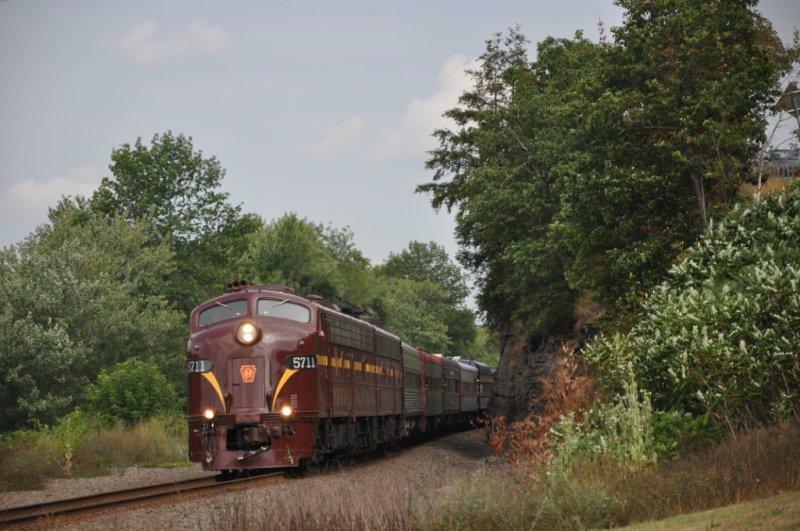 Lorett Treese, author of Railroads of New Jersey (2006) will speak at the exhibition opening, which will be held at 5:00 p.m. in the Archibald S. Alexander Library in New Brunswick. More details about the exhibition and program will be forthcoming. Tell Your Members of Congress to Fight for Trains! We need your voice! ;This is the most urgent need we have faced in years. As you know, the recent debt ceiling deal creates intense pressure to reduce all federal spending. 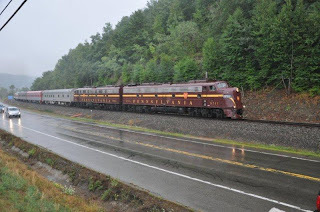 In addition, Chairman John Mica (R-FL) of the House authorizing committee has urged 25% cuts to Amtrak’s operating grant in both 2012 and 2013. Thus, the need for passenger train supporters to speak up is as clear as it has ever been. Please ask your U.S. representative and senators to support—and work for—annual funding of $2.2 billion for Amtrak and $2.5 billion for the High Speed and Intercity Passenger Rail program. These are, respectively, what Amtrak requested for 2012 and what was originally appropriated for the high speed rail program in 2010. Click here to find a draft letter. Please individualize this letter by adding and deleting text to have the best impact on your legislators and to make clear why trains are important to you personally. If you have time, please also urge local political and business leaders to make the same request of your legislators. You have been with us all along – please be with us this time! As always, we thank you and the American traveler thanks you. 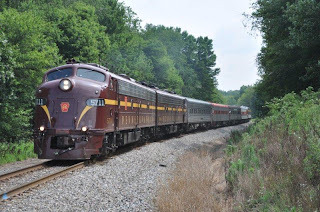 NORFOLK, Va., and CHATTANOOGA, Tenn. - September will mark the return of steam to Norfolk Southern rails as Norfolk Southern Corporation and Tennessee Valley Railroad Museum launch a limited schedule of steam locomotive passenger excursions Labor Day weekend. The excursion program, "21st Century Steam," will operate two trains each day Saturday and Sunday, Sept. 3 and 4, powered by recently restored Southern Railway Locomotive 630. 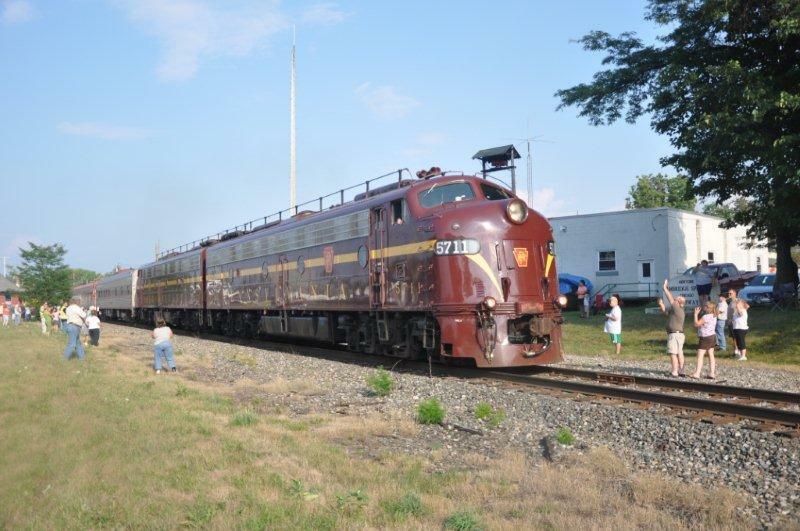 Launch of the excursion program coincides with TVRM's Railfest commemorating the museum's 50th anniversary. 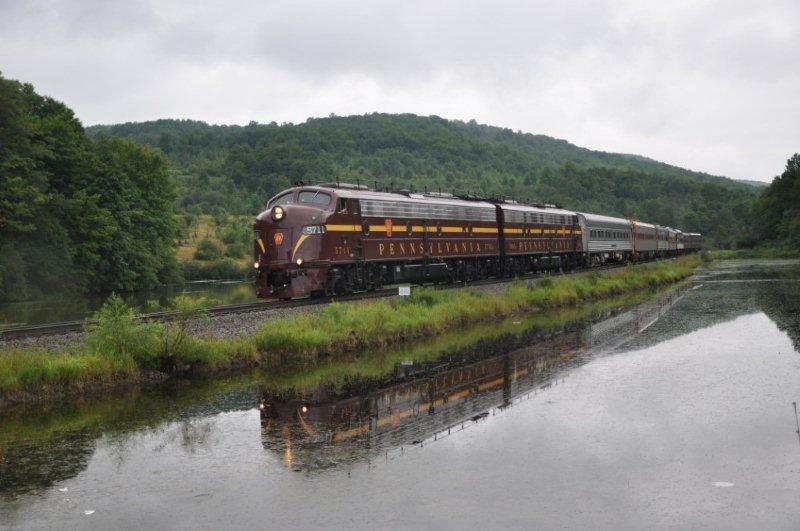 "For everyone interested in the history and romance of the railroads, the return of steam-powered excursions is like a dream come true," said Norfolk Southern CEO Wick Moorman. 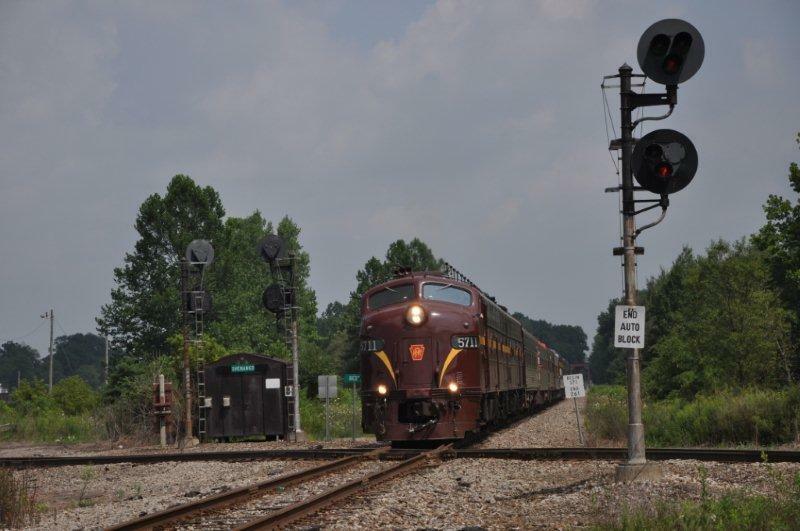 "People are fascinated by Norfolk Southern's past and the infinite possibilities for our future in supporting jobs, a clean environment, competition, and the economy." Moorman will be the featured speaker during TVRM's 50th anniversary banquet to be held at the Chattanooga Choo Choo at 6 p.m. Thursday, Sept. 1. 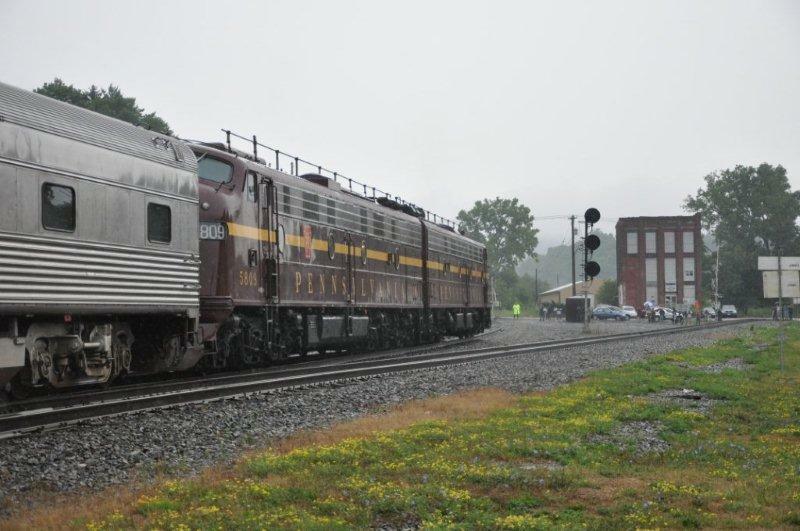 "TVRM is proud to bring steam back to Norfolk Southern. 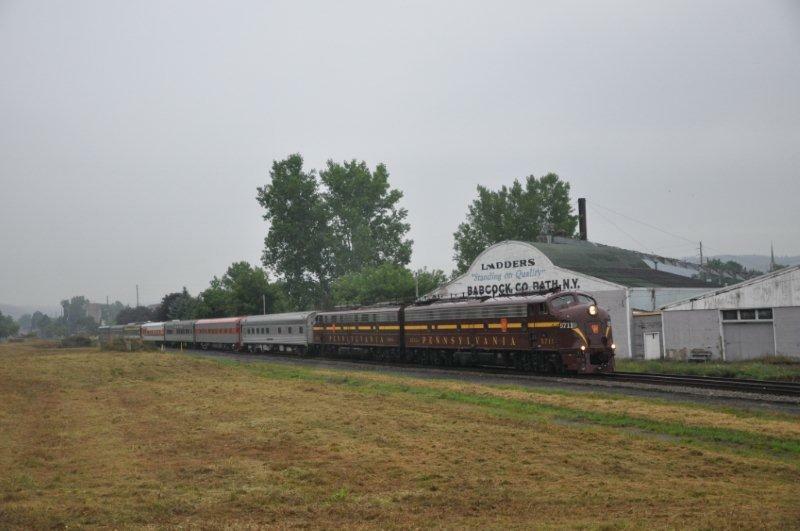 For 50 years, we have provided our guests the opportunity to experience the golden age of passenger travel behind steam. This new venture with Norfolk Southern will extend that opportunity to people throughout their system," said TVRM President Tim Andrews. Tickets for the inaugural trains at Chattanooga are available through TVRM's website at http://www.tvrail.com/ as part of the Railfest package. 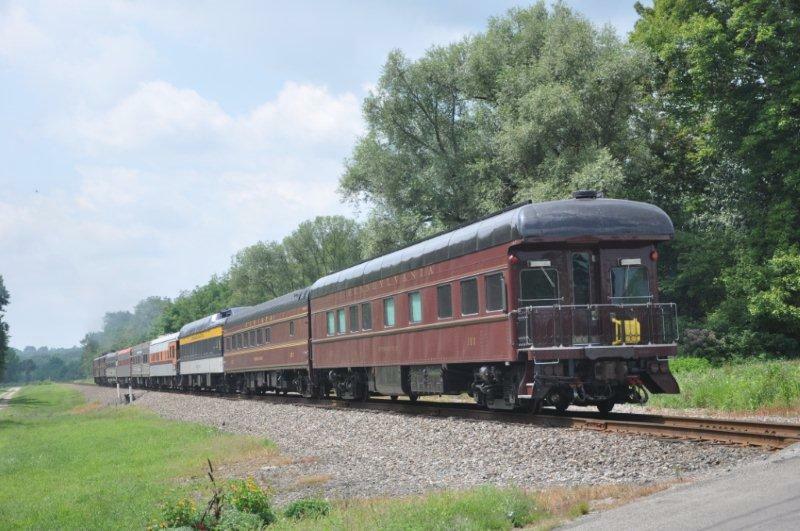 Future steam excursions will be announced as they are scheduled. 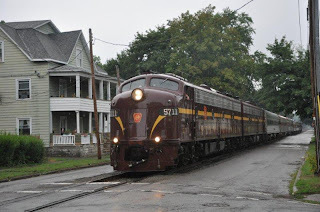 Norfolk Southern has launched a new website at http://www.21stcenturysteam.com/, loaded with information about the excursion program as well as the rich legacy and modern contributions of today's railroads. The company's band, the Norfolk Southern Lawmen, marks the steam program's debut with a music video performance of an original song, "Rollin' Out Again," written by Briz. 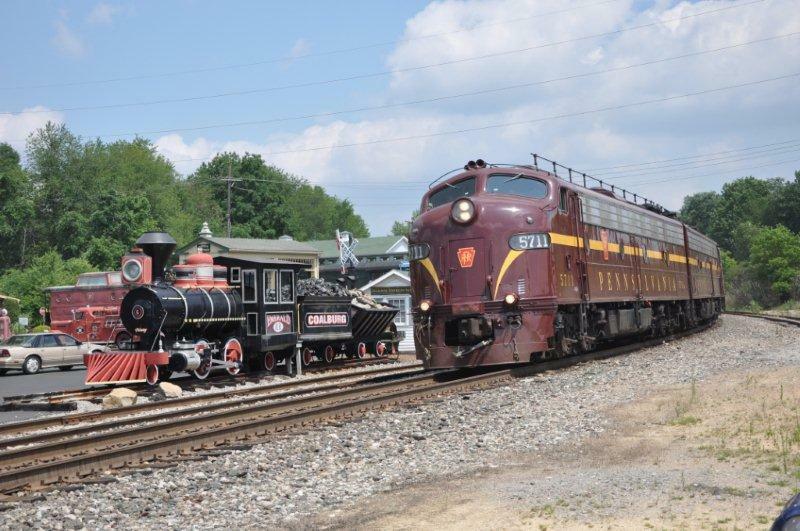 The Lawmen will perform the song live during TVRM Railfest appearances at 12:30 p.m. and 4:30 p.m. Labor Day, Monday, Sept. 5. Click here to see the video. The song and video will be available soon on iTunes. 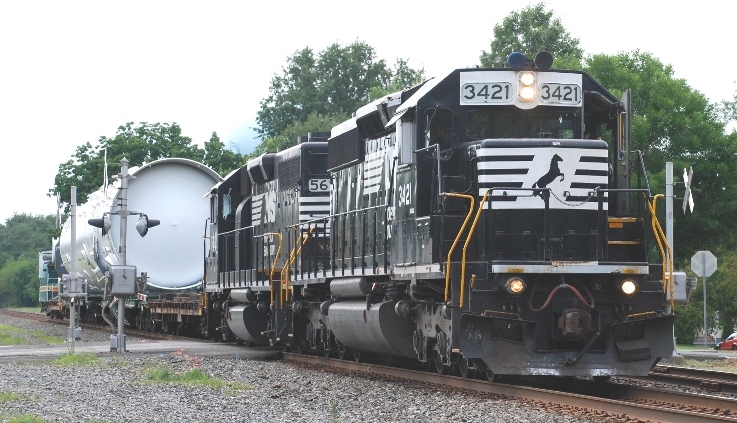 Norfolk Southern and TVRM last year announced plans to launch "21st Century Steam," saying it would highlight milestones in rail history and provide an opportunity for audiences to learn about today's safe and service-oriented freight railroads. In addition to the 630, the program contemplates operation of two additional steam locomotives, Southern Railway 4501 and Tennessee Valley Railroad 610. 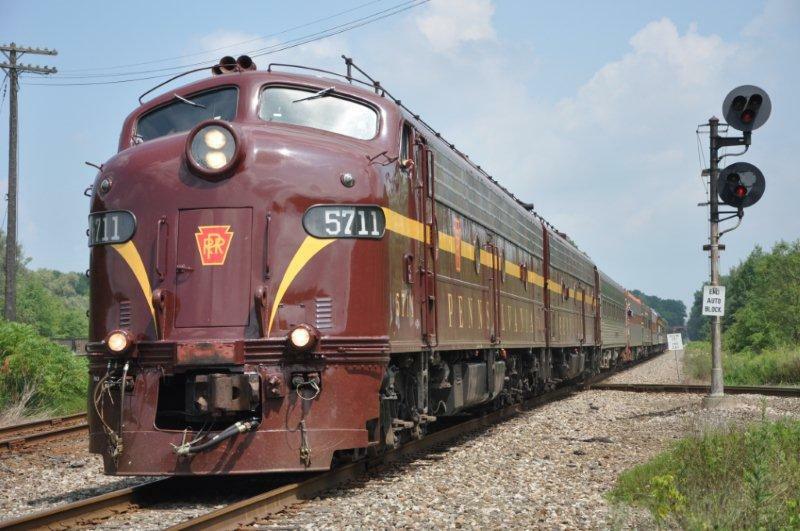 The 4501 now is being rebuilt in the same TVRM Chattanooga shops where the 630 was restored. 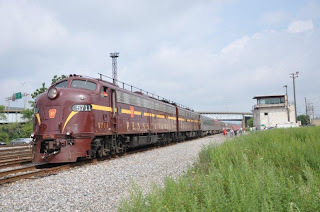 Tennessee Valley Railroad Museum was founded in 1961 in Chattanooga to create an interpretive operating museum of historic equipment and artifacts in an authentic setting. 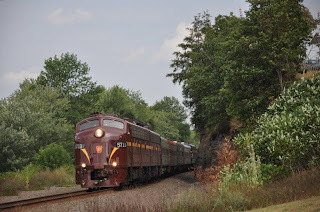 Today it operates an extensive schedule of historic and scenic trains in Southeast Tennessee and Northwest Georgia, supported by its East Chattanooga locomotive and car shop complex. 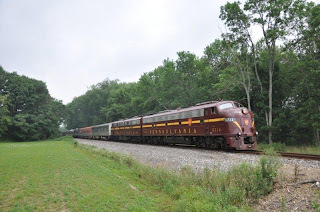 TVRM is the largest operating historical excursion railroad in the Southeast. My plan for Saturday was that once I was finished with my scheduled platelet donation, I would check the internet to see what the progress was of NS's 056 that was scheduled to come east to Manville. Normally this high and wide load of a heat exchanger are done in the afternoon so as not to interfere with the morning rush of intermodal traffic. I figured that with a 9:30 platelet donation, that would leave me sufficent time to donate and then head trackside to see this move. Going on the internet I read where it was still in the Bethlehem area around CP Richards around 10:30. My arrival at Three Bridges around 12:19 would mark the start of a long wait. 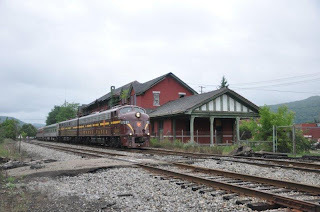 It was something I didn 't mind since it was a fairly nice day to be trackside. Shortly after my arrival, the block signal would change to indicate a eastbound was coming but when? Time seem to drag after that, perhaps the anticipation of seeing 056. Finally around 1:45, a headlight would appear off in the distance. It was NS 056. Motive power was NS 3421 (ex-CR 6515; SD40-2) and NS 5612 ex-SOU 2823; GP38-2). 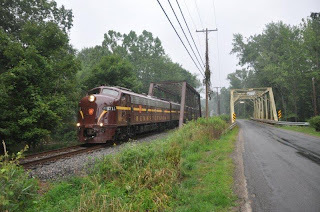 After Three Bridges, it was on to Manville's 13th Street grade crossing for a few more images of this train. Seeing that heat exchanger, estimated to be about 145 feet long, was impressive and definitely a challenge to photograph due to its immense size. 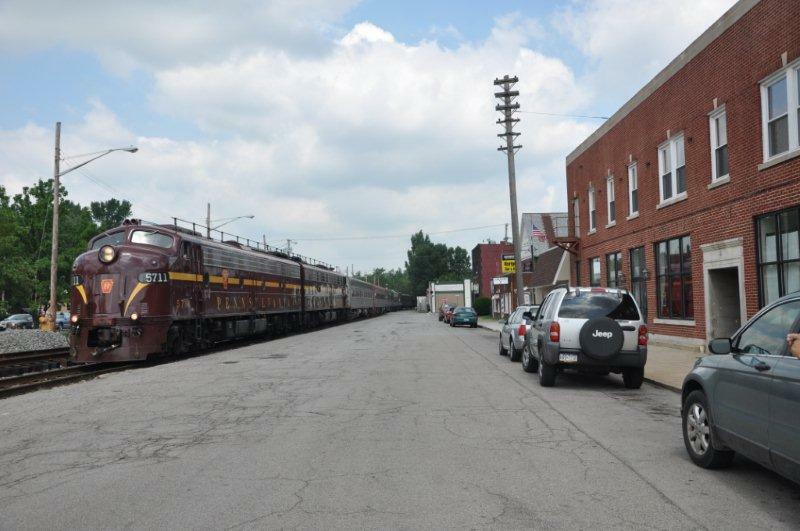 After passing through Manville, I opted for one final shot of this train pulling into Manville yard where another surprise would await. CSX's Q300-13 had leased power as its leader. 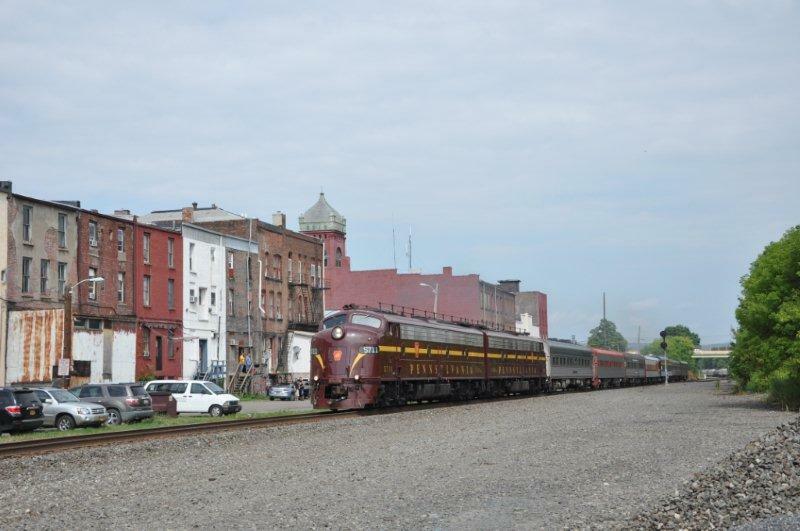 HLCX 7181 (ex-BN7181) and CSX 5480 was heading east through Manville yard. By now the platelet donation left me fatigued and I decided to call it a day. My dual plan to donate platelets to help someone in need and photograph NS 056 contributed to accomplishing my goals for this day. I like it when a plan comes together. NORFOLK, VA. - Norfolk Southern has received a technical infrastructure commendation for its Heartland Corridor project in the 2011 Brunel Awards International Railway Design Competition. 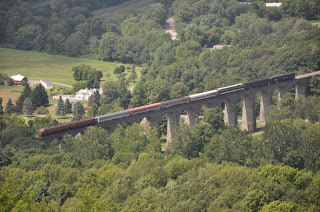 The Heartland Corridor project, one of the most extensive railroad engineering projects in modern times, was an initiative to raise the vertical clearances of 28 railroad tunnels and remove 24 overhead obstructions in Virginia, West Virginia, Kentucky, and Ohio to allow the passage of double-stack container trains. The project began in October 2007 and was completed in September 2010. 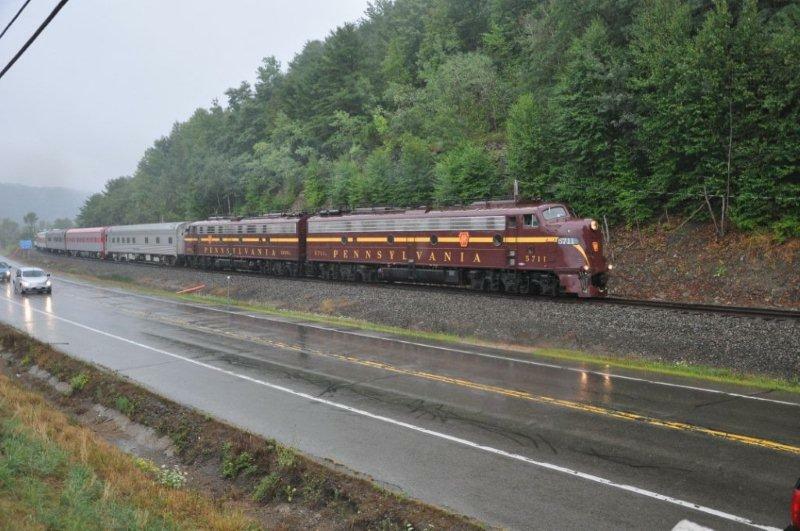 The Brunel Jury was impressed with the overall magnitude of the Heartland Corridor project and the long-term positive impact it will have on the environment by eliminating more than 300 miles of travel between the Port of Virginia and the Midwest. The Brunel Awards are presented tri-annually by the Watford Group of International Railway Designers to recognize the best in railway architecture, engineering, landscape and environmental design, product design, locomotive and car design, graphic arts, and corporate branding among the world's railways. The competition is named after the 19th Century British railroad pioneer, Isambard Kingdom Brunel (1806-1859), founder and builder of the Great Western Railway. Forty-three projects in 11 nations won awards in the competition. 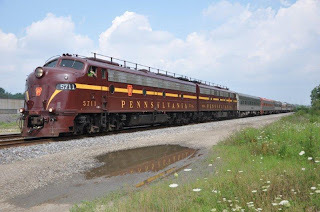 The 2011 Brunel awards will be presented Oct. 14, in Washington, D.C.
After scouring the internet on Saturday morning I learned that CP 38Z was on duty at 8 AM in Bethlehem. Ahhh... that would mean an early morning run down the LEHL to Oak Island. Couldn't ask for any better sunlight than what NJ had this past Saturday either. Blue skies and ample sunshine make for a good combination when it comes to photography! So with that knowledge in hand, off I headed to Three Bridges to wait for 38Z. 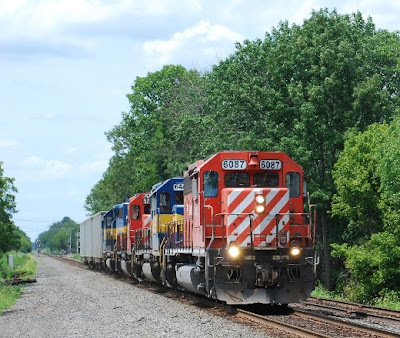 While waiting, a eastbound NS intermodal, lead by NS 7561, would pass by around 8:50. Around 9:26, the block signal changed to indicate another NS eastbound train was coming. Could this one be the 38Z I was waiting for? 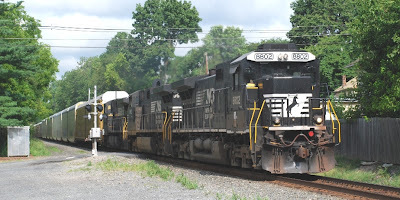 The question was answered around 9:40 when NS 8802 led its consist of autoracks and intermodal cars past my vantage point. What would occur first, seeing 38Z or giving up and heading home to do those put off tasks that were starting to call me. At 11 AM, once again the signal indicated a eastbound train was coming. 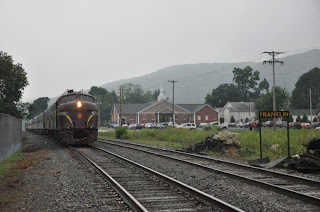 I made a vow this would be my last train for the day even if it wasn't the 38Z. 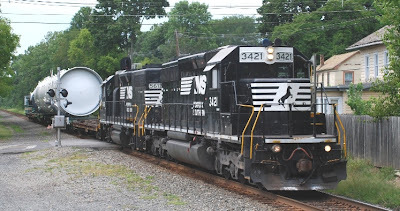 That vow would soon be rubbish as NS 64J, a/k/a; "the trash train" come into view. After it passed by, I headed home to tend to those neglected chores. 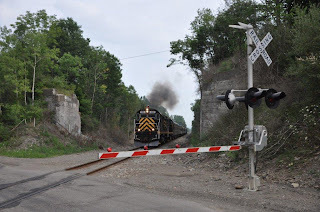 In my travels to do these chores, I was crossing over the Roycefield Road grade crossing and noticed a headlight coming east on the LEHL. 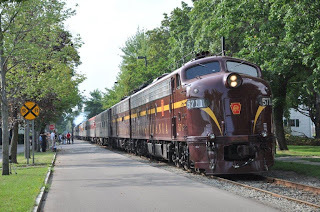 Ahhh... probably another NS train I thought. As the train drew closer, I could see it wasn't NS black but CP red. 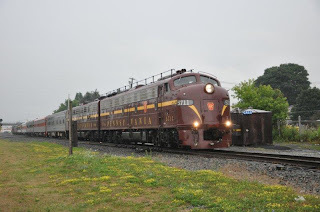 Finally, CP 38Z arrived in Hillsborough at 12:45 as it headed to Oak Island. 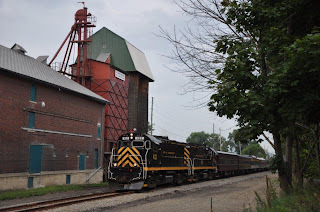 On the point was an ex-CP unit DM&E 6087 (SD40-3), ICE 6446, CP 5737 and ICE 6210 with three empty hoppers in tow. As to what the delay was, guess that would be a story for the television show "Unsolved Mysteries". The following picture, taken on Friday, 8-5-11, at Steamtown, shows a group of Reading locomotives parked together outside the shops, which is not the normal situation. The Reading FP-7 #902 is owned by the Reading Company Technical & Historical Society. 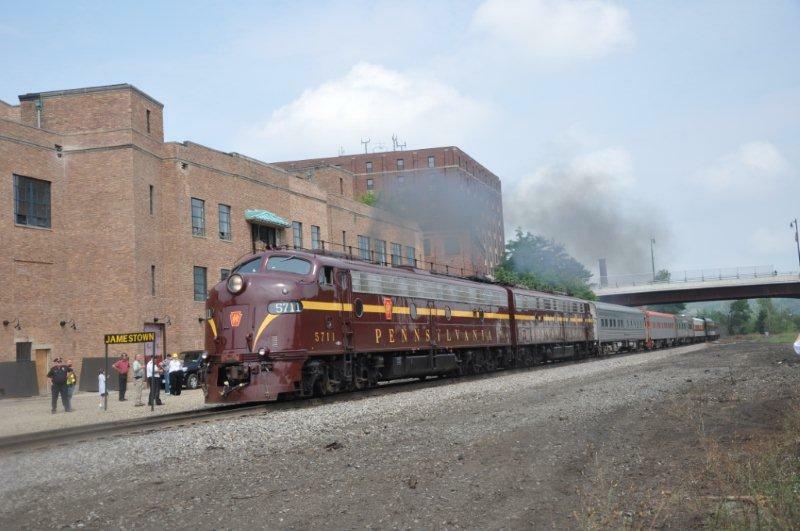 The FP-7 behind it, #903, is owned by the Philadelphia Chapter, NRHS and is leased to the RCT&HS. These diesels have been on display at Steamtown, usually parked near the roundhouse, for about a year and are sometimes used on excursions. They are at the shop awaiting work on their springs. 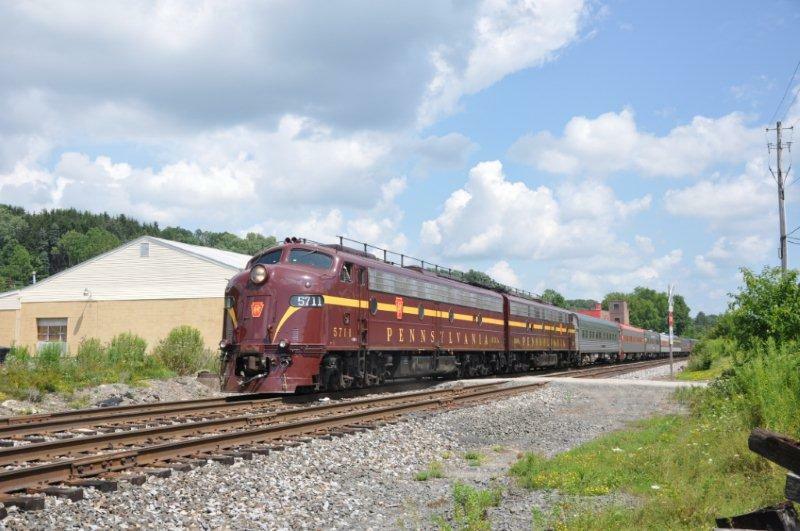 Reading #2124, a 4-8-4, is usually on display near the Steamtown entrance. It is at the shop following asbestos removal work (which has been going on much of this year) waiting to be repainted. Received the following via email from Kermit Geary Jr. Text, photos, and captions are his. Day 3 was Sunday, 8-7-11. 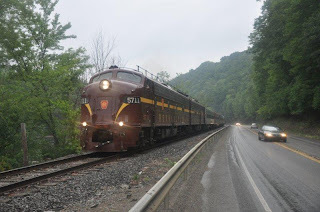 After leaving Meadville, PA in the dark rainy morning, the train progressed down the Oil City Branch of the WNYP to Franklin, PA where the WNYP 430 & 421 pulled it back under the capable hands of Engineer Chris Southwell. The weather improved, the later it got....from Rain to eventually a beautiful SUNNY day! Arriving back in Meadville, the WNYP crew cut away and the NS pilots boarded the train. And the chase was on...following the Erie/Erie Lackawanna's Mahoning Division to Hubbard, OH. Thanks to a good friend of ours, Bob Brooks, we were able to catch the train at a number of scenic locations. 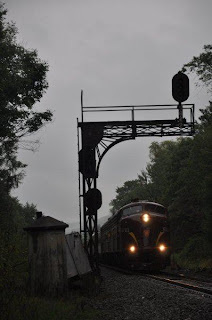 We close today's offerings with a few scenes along the EL's Mahoning Division. To the crews and employees of the NYSW who were helpful with location and time information. Received the following via email from Kermit Geary Jr. Text, photos, and captions are his. Day 2 was Saturday, 8-6-11. Received the following via email from Kermit Geary Jr. Text, photos, and captions are his. Day 1 was Friday, 8-5-11. Out with JR chasing the Erie's Pacific Limited II with the Juniata Terminal's restored PRR E8A's from Starucca to Youngstown, OH.